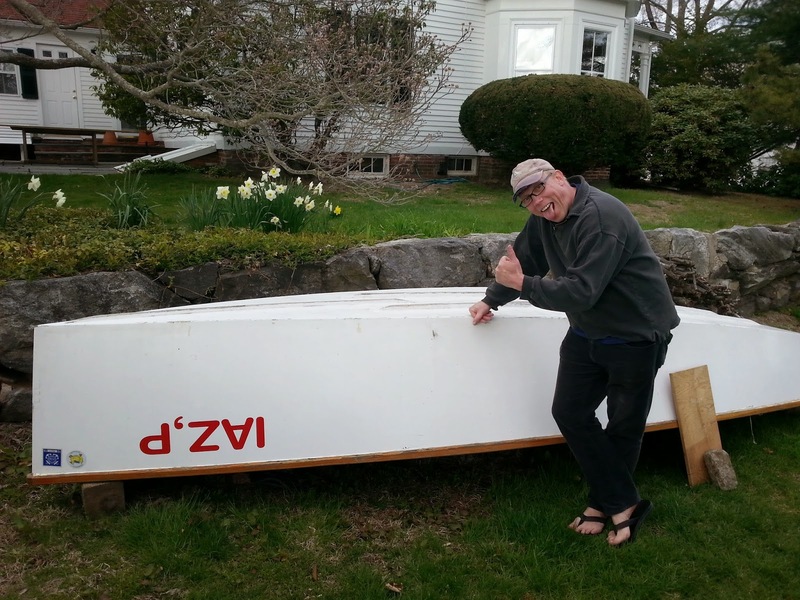 Goat Island Skiff Amateur Style and the Sea Pearl 21 Too: In which IAZ,P boldly sails forth to new adventures. In which IAZ,P boldly sails forth to new adventures. AHOY Mateys, Intrepid Readers, and friends! I report to you this fine spring day that "I Am Zinea, Pterodactylus" has exchanged sailors in a happy fashion and is southwest bound from New Hampshire to the bustling and exciting 6th boro of New York City. She is now in the hands of Cap'n Patrick Danger Danger and his nefarious gang. and may she never abandon her crew in their most dire moment of need. Appropriate beverage-esque ceremony to follow. I am happy to see this happen. Thank you everyone, for everything. Too many people to list, so many unknown peoples, it doesn't matter, thank you all. IAZ,P has been such a wonderful experience in my life. Please continue to follow GIS Amateur Style as we slowly segue fully into Sea Pearl 21 adventuring with "Scout" who has been featured in several previous posts, such as this one. Congrats to you Christophe for paving the way to GIS fame and to the new, happy owner! You are one talented guy, Christophe, and I love having you as a son-in-law! Sounds like she is in good hands. Thanks Anonymous! I sure hope you are who I think you are, otherwise I'm more married than I think I am!